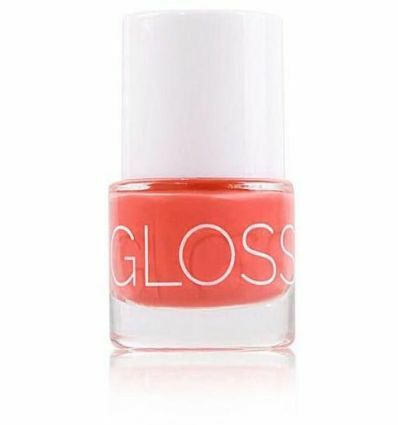 Vernis naturel Flamingo de Glossworks pour une brillance, couleur éclatante et belle tenue ! Effet Glossy ! Butyl acetate, ethyl acetate, nitrocellulose, acetyl tributyl citrate, isobutyl acetate, isopropyl alcohol, adipic acid/neopentyl glycol/trimellitic anhydride/copolymer, styrene/acrylates copolymer, sucrose benzoate, stearalkonium bentonite, ci 77891 (titanium dioxide), benzophenone-1, ci 19140 (yellow 5 lake), barium sulfate, ci 15850 (red 6 lake), butylene glycol, aqua, helianthus annuus seed oil, nelumbo nucifera flower extract, tocopherol.